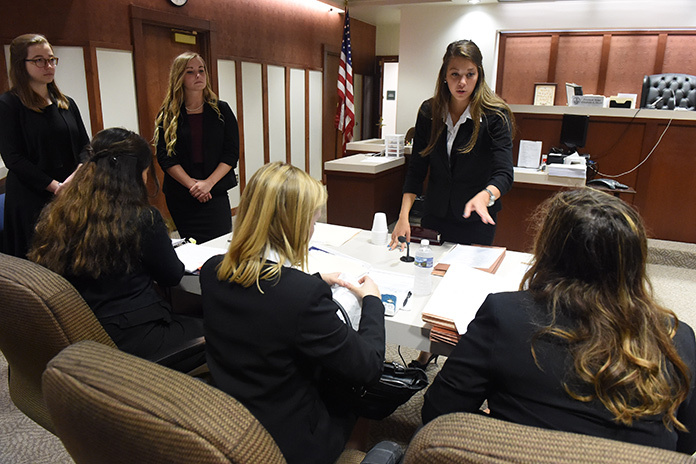 Interested in Mock Trial at Juniata College? 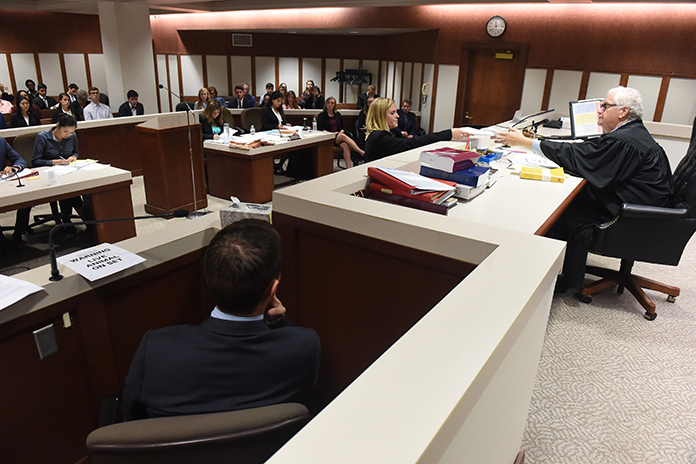 Juniata College, under the coaching of Dave Andrews, traveled to Blair County Courthouse to participate in a mock trial. 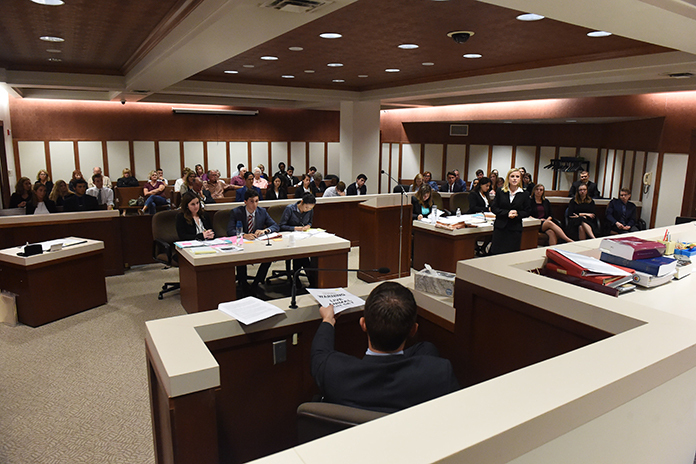 In mock trial, student teams participate in trials that follow legal procedures to simulate real litigation. 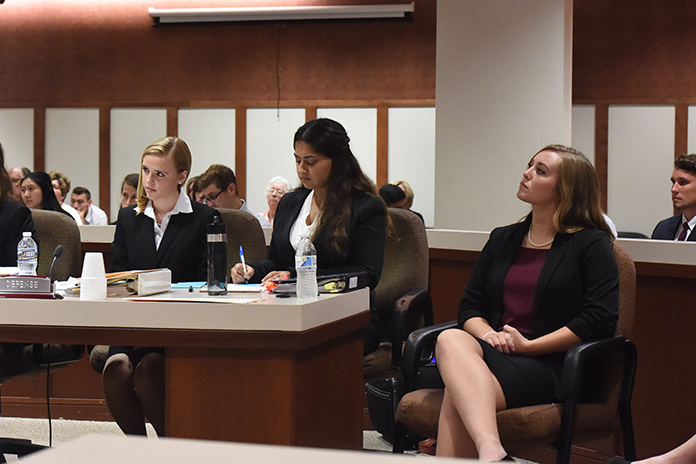 Acting as lawyers and witnesses, each team has the opportunity to present both the prosecution and the defense cases to real judges, and volunteer attorneys score their presentations. 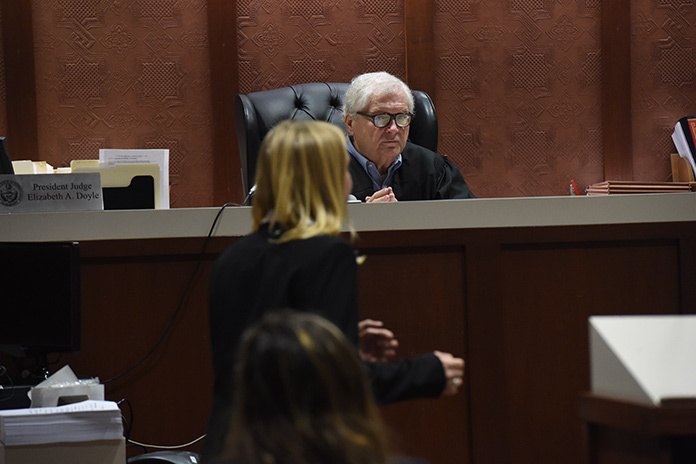 Andrews has coached mock trial teams at both the high school and collegiate level, most recently coaching a team for Mount Aloysius College. Andrews also co-coached the Altoona Area High School mock trial team for 10 years, leading the team to a state championship in 2014 and a top-20 finish at the national competition.